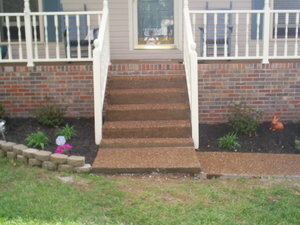 My husband can do concrete work, decks, hardwood floors, fencing, mulching, sealing driveways, pressure washing, and several other household or commercial repairs or additions. He does great work. Pricing based on small jobs. Please contact for bids on larger jobs.